Julie is a native to the Augusta area. She and her husband, Dewey live in Martinez. Their family includes 1 son and his sweet wife, who also live in the area. She is a graduate of Augusta State University and has been with Scrubs of Evans for the past 5 years. Julie is an active member of Grace Baptist Church and enjoys reading, fishing, going to the beach and spending time with her family. Mark has a been a resident of the Augusta, GA community for over 20 years. He attended Augusta State University where he graduated with a bachelor’s degree in business. Mark went on to work in public accounting and then served in several roles in the private business sector. Mark has always had a strong entrepreneurial drive and started creating his wife’s vision for Scrubs of Evans back in 2008. In his spare time, Mark enjoys reading, spending time with his family and is a member of Overcomers Outreach Church. Cathy moved to the Augusta area 4 years ago with her husband and 2 children. Originally from Tampa, FL, Cathy attended University of South Florida. She possesses over 10 years of retail sales and management experience and has just celebrated her 1 year anniversary as part of the Scrubs of Evans team. In her spare time, Cathy enjoys beading, cooking, and spending time with her family and 3 rescue “pups”. The first step in creating our business was to prayerfully consider how God would have us grow a small business that glorifies Him and values people. We believe the following principles allow us to accomplish this goal. Service - We believe it is important to offer friendly, personal and consistent service to our patrons. Quality - We have specifically partnered with manufacturers who offer the best quality products in the uniform business. We carry brand name scrubs by leading manufacturers such as Cherokee, Barco, Grey's Anatomy™, Wink, Healing Hands, Med Couture and compression socks by Sockwell. Ambiance - We strive to maintain an atmosphere that is inviting, convenient, and comfortable. Fiscal Responsibility - We believe that by being fiscally responsible in the management of our business we are able to offer our patrons quality apparel at the fairest prices possible. 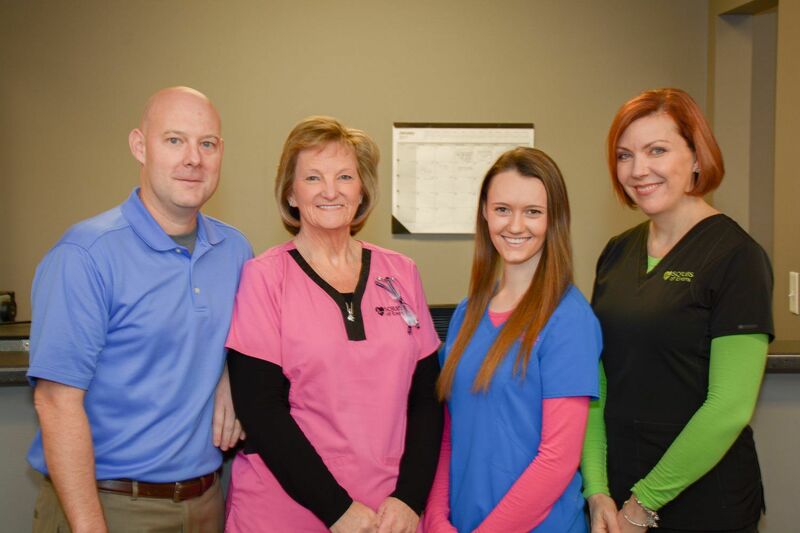 Location - We strategically placed ourselves in a location that provides convenient service to professionals that work or live in the Columbia County and West Augusta, GA community. We look forward to building lasting relationships with individual patrons and employers who desire the products and services we provide. Come and experience the "scrubs you love" today!